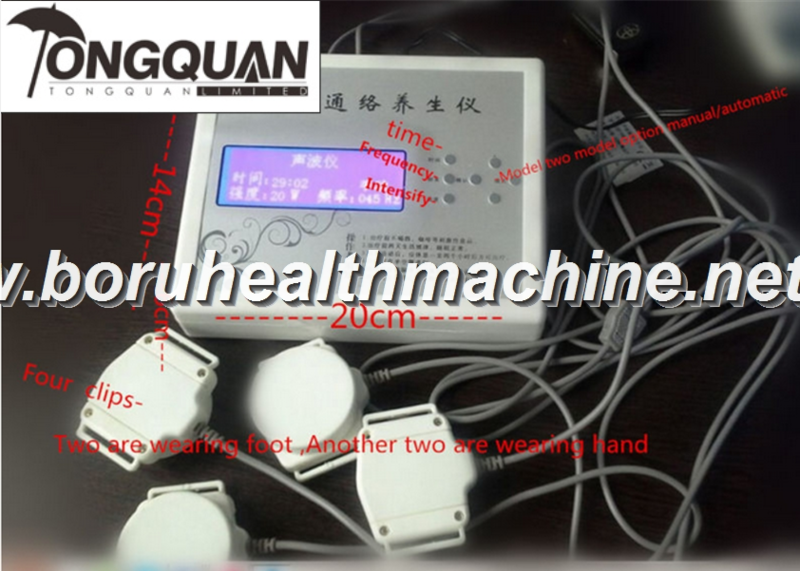 This machine is an electrical therapy .output adopt those trditional chinese accupunctue method to make massage our body: press dot ,knead push our body method to let electricity penetrate into our body to finish our therapy . our body can get full adjustment and full refresh and return to health condition . 10 beauty ,sliming ,makeyour body health . 1 Home use : family member , relatives , friends . notice : chirldren under 12 years don’t have to use it . 2) massage for removing tired 30minutes first continuou vibration for 15minutes later intermittent vibration for 15minutes .